There are a lot of ways to celebrate this time of year. Max, the Alpha Japanese Female and I hope you have a wonderful season no matter which way you choose although personally I’d recommend eschewing the Saturnalian Chthulu Ritual. We hope your dreams will be fulfilled. If you are suffering, we hope that your pain, worry and anxiety will soon be relieved. We wish only wonderful things for you and yours. Thanks for spending some of your time on this silly dog blog. 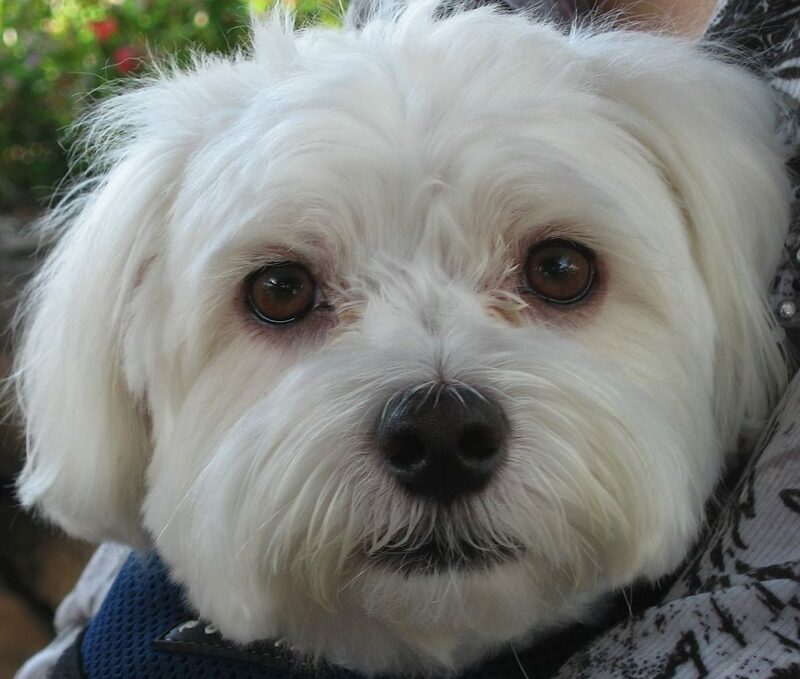 I know that there is a certain Maltese who would snuggle up and give you loving licks for listening to his tales. I would, too, but I don’t want to spend New Year’s in jail. Again. Snorf indeed! Best wishes to the three of you, with many thanks for all the pleasure the blog has given me over the years. Max said he would bark Happy Christmas to you, Leo and each one of the doggos and animals but all that barking would give him a sore throat so he offers one BIG woof wishing you all a wonderful holiday season. I’ve learned a lot from reading your stuff but most of all I’ve had a lot of laughs and enjoyed the times spent together in this virtual world. All the best to you in the coming year, Helen! A hot toddy for Max! Or is that New Year…. Our four (four Maltese Shih Tzu mixes) are doing a bang up job lap sitting, bed sleeping, and face licking. Their present to us every day and especially on Christmas. I’ll bet that sitting, sleeping and licking covers only 50% of those guys’ activities…the other 50% being split evenly between eating and begging treats. Best holiday wishes and keep those great books coming, Mike! Our beloved Annie is the grand dame of the pack. She “celebrated” her 16th birthday last Saturday. We have been blessed to have her for such a long life. Maverick spent the day trying desperately to lick the faces off the grandchildren and having a tantrum when he was thwarted – he gets a bit too rambunctious still. He’s now crashed and will probably not wake up till morning. Merry Christmas, Mr. Maxwell, I hope that Santa Paws brings you many many goodies! So can I have the Max now? I was good, honest! Wrath of mum not withstanding 😅 Thanks for the entertaining blog and the joy it has brought. You can borrow him. Also, he’s such a traitor you could bribe him with treats. Right back at ya! Coming from South Africa, this wins the award for most distant greeting! There’s no prize, just respect and if Rowena shows up from Australia I’ll have to start measuring on the globe. Max sends Christmas woofs to your doggos and hopes they are not too hot this winter. That sounds strange, but true. OMG, you got him to sit still and look at the camera! Granted, he looks a little penned in, but still. I had to put Jacques’ elf hat on the Christmas tree — just gave up! Now he’s off giving the guests a tour of the neighborhood. Feckless little bugger. I’ll have to remind him the world is full of cute little white dogs, so He’d Better Watch It! Some other day. Today we’re having too much fun. As, I hope, are you. Here’s to you, Max, AJF and the new year. I doubt that Monsieur Jacques has much to worry about. I think he’s secure as ruler of the household despite being coerced to wear a funny hat. You must be exhausted after your trip and then having to mount a Christmas feast. I suspect it will be a one brandy and then sleep sort of night. Hope Père Noël was good to all in your home and maybe brought some of those undermats that keep rugs from slipping. Merry Christmas! You have reminded us yet again why we love you guys. Thanks for brightening our days and sharing smiles. Hope your howliday was furry and bright. Fleas Navidog. At the risk of sounding racist, what delightful whiteness he has! His fur matches the white of the hat. It’s like when people with unfortunate teeth do the “Kleenex test,” and fall short of whiteness. Max has it in spades. White spades. Not just white hair, he also has pink skin.He actually sunburns easily so we have to watch him in summer. I’d say he’s a lot like me except he has a lot more hair and none in his nose.Somehow he seems to photograph whiter than in real life. Tolerant Daughter said yesterday that he looked like he could use a scrub. I agree but we’ll wait to give him his formal New Year’s Eve ablutions so he can enter 2019 in pristine condition. Happy Christmas and New Year’s to each of you! Right back at ya although I’m not sure if Max and Cooper could manage the HUGS. The height disparity could be a deal breaker. Max–you look so darn cute! I hope Santa Paws was good to you. If not, I say attack the man snorfing in the background. I hope you have a very Happy New Year. And they let you take off that cap. Parker and Piper send meows your way. Mostly. They’re sleeping now. Again…. Santa treated Max pretty well. Somehow he must have gotten on the “nice” list despite some sketchy adventures. Happy New Year to you, the hubby, the cats and the more cats sure to come in 2019. Thank you for sharing Max’s stories. I have loved them so much. Wishing you a lovely 2019 full of joy, happiness and mischief. For our part, it’s been a joy reading your tales about Munch the Wonder Dog. We look forward to many more throughout 2019. Mischief indeed…it’s spelled d…o…g.